We are seeing a lot of superhero fans quite excited when they last heard that the superheroes even have reached the small screens. That’s true and who doesn’t like such people who have the imbedded gizmos imbedded into their bodies. Similarly, the Smallville introduced the small screen Aquaman with those exact extraordinary powers and with an alike routinely settings of the DC Comic’s elite superhero in the comic book world. And of course, when you have superheroes and the diehard fans, one of the most common outcomes is the wardrobe’s spellbound upgrade. 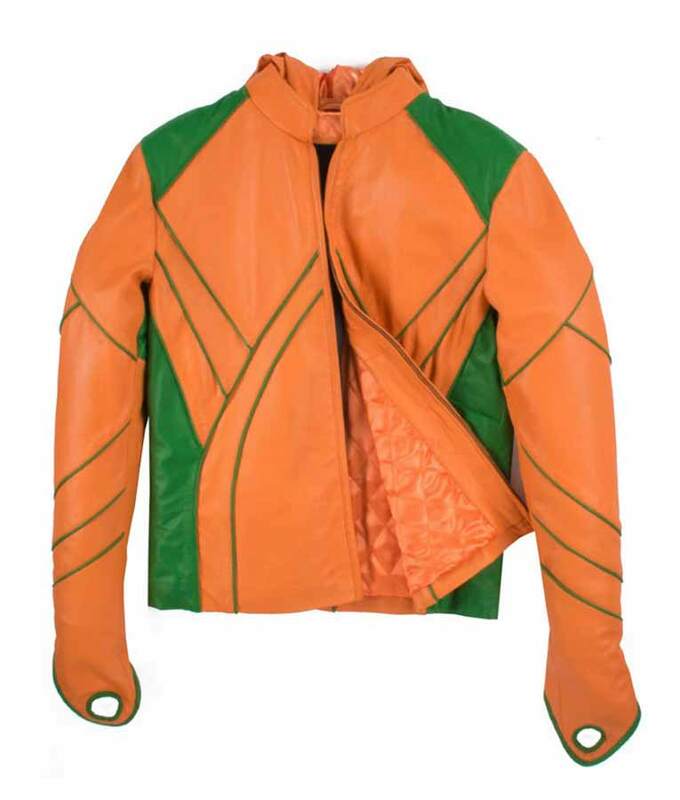 Definitely you are going to love this Smallville Aquaman Leather Jacket that infuses authentic top quality material along with the standardized stitching patterns. 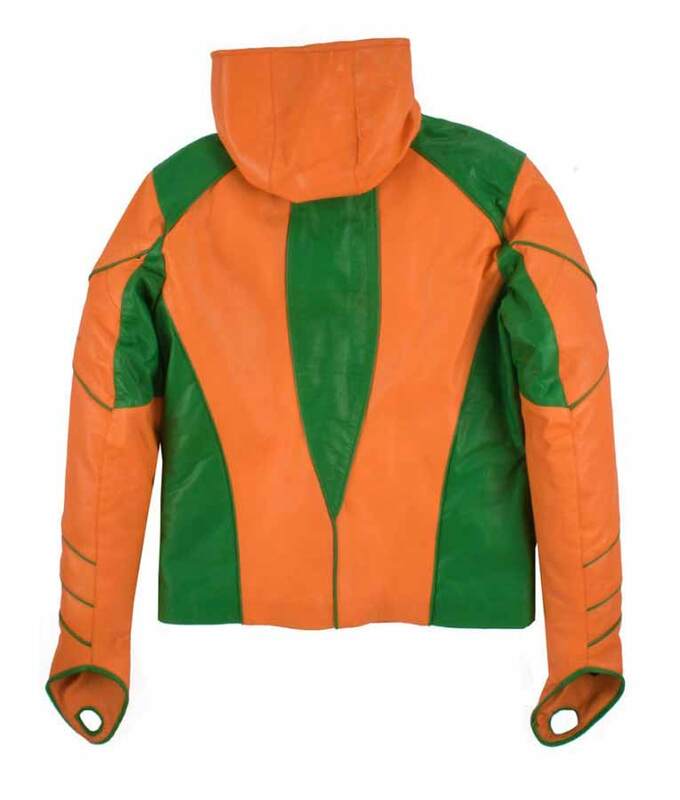 A great deal of genuine leather is used to create this remarkable Aquaman Jacket, but for our valued customers we also provide the topnotch PU leather manifest as well. Additionally, the interior is comfily cossetted with quilted viscose lining to heartwarmingly keep your moods in good nature. A splendid outfit that outshines its counterparts due to its sheer resemblance from the on-screen original Aquaman wears. Perfect mandarin collar attire that surprises you with its graceful gleaming appeal and lets you dress up sophisticatedly. Superlatively shaded with orange and green shades that covers you smartness with a tasteful charm. A very well constructed jacket for men that holds a great deal of authenticity and composure into it. The finest Smallville garments have been always our prior specialties.